Sugar cane was introduced in St. Kitts in 1643, and it became as valuable as oil is today. Control of the Caribbean sugar islands sent European armies and navies to war, and sugar built empires. 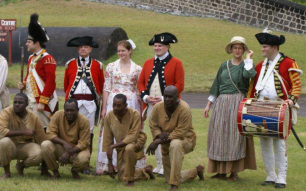 By 1775, with 200 estates producing sugar, St. Kitts was the wealthiest of the British possessions. But the introduction of the sugar beet and international market competition drove prices steadily downward, and by the beginning of the 20th Century the local industry was on its last legs. 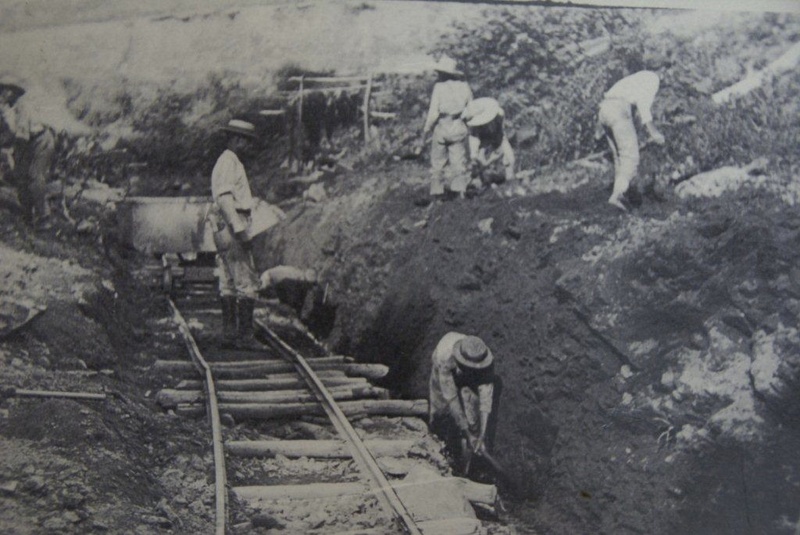 Believing that profitability could be achieved with economies of scale, in 1912 a group of investors built a modern central sugar factory near Basseterre and began construction of a narrow gauge railway around the island to bring in cane from the outlying estates for processing. Completed in 1926, the railway ran seasonally from February to June for the annual sugar harvest, called “Crop”. The new system allowed sugar production to continue on St. Kitts much longer than on other islands. The island of Nevis stopped growing cane in the mid–1930s. Antigua ended sugar production in 1971. But with a now antiquated factory and railway, diminishing acreage, and intense international competition, losses mounted. Finally, Prime Minister Denzil L. Douglas announced that the industry would be closed at the end of the 2005 Crop. The last “sugar train” rattled into the yard and the factory machinery was shut down on July 31, 2005, bringing an end to over 350 years of sugar production on the island. But the “Sugar Train” survived. 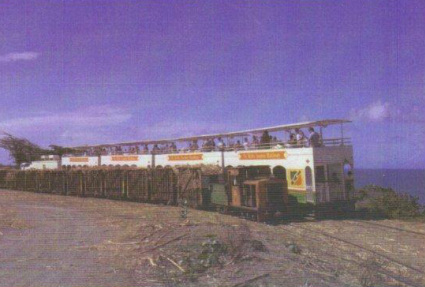 In a unique partnership between Government and private enterprise, the privately–owned St. Kitts Scenic Railway started running tourist excursions on January 28, 2003. It now proudly carries the national flag as the “Last Railway in the West Indies”, a living link to a past when sugar ruled the island's economy. On our train you can hear this story from our own people, hear the songs we sing, have a cool drink with us, and wave at our children as we pass through the villages where many of us live. This is the real Caribbean, the way it has always been, on an island that most people have never seen or heard about. Our story is told in the warm trade winds, and in the clickety–clack of the wheels on the rail joints. Come with us on an amazing journey of beauty and discovery. It is our pleasure to show you our home. 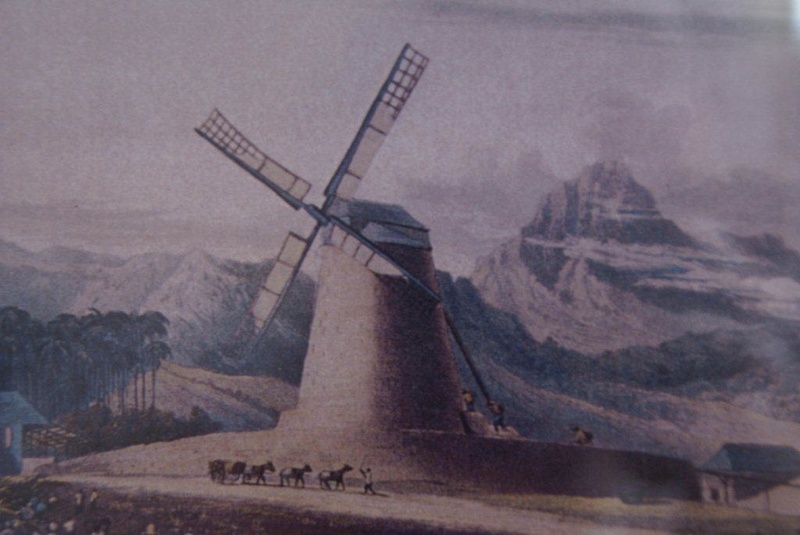 Windmill for crushing sugar cane, 17th century.